You are currently browsing the category archive for the ‘197-a’ category. Apologies for the late notice on this one, but this meeting was just brought to our attention this morning — Tonight the Department of City Planning will present its preliminary plans for the West Harlem Special District. 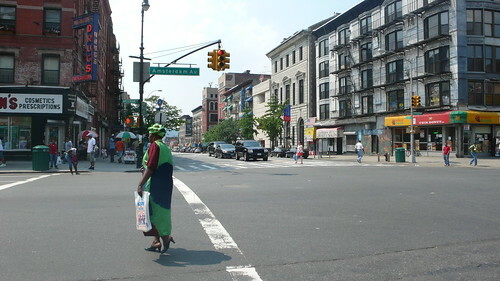 Proposed by Manhattan Borough President Scott Stringer in 2007, the special district is based in part on Manhattan Community Board 9’s 197-a plan (which was our Community-Based Plan of the Month in April). Contextual Zoning, with density and height limits, to preserve the physical character of the neighborhoods and quell displacement pressures. 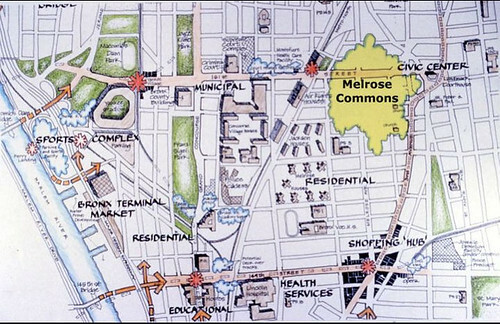 Community Facility reforms, which would stop grossly out-of-scale developments and discourage dorms and university uses in residential areas. Inclusionary Housing in certain areas, to channel new development toward the creation of housing that is affordable to West Harlem residents. Density bonuses for “business incubators,” to provide incentives for developers to provide affordably priced retail or commercial space to local businesses. Anti-Harassment Provisions and Demolition Restrictions, which would penalize property owners who harass their tenants, and discourage the demolition of occupied sound housing. Special Off-street Parking Regulations, to ensure that parking in the area serves the needs of residents and encourages transit-based development instead of causing traffic congestion and pollution. Tonight’s meeting is hosted by Manhattan CB9 and will take place at 6:30 pm at Broadway Housing, 583 Riverside Dr.@ 135th Street. If you are interested in community advocacy on this issue, contact the West Harlem Community Preservation Organization (CPO) at hh-westharlemcpo@msn.com. The post goes on to analyze the results of the rezoning in regards to affordable housing, open space, manufacturing retention, and follow-up rezonings in the upland areas. Read the details here. Have you recently been involved in a community-based planning initiative in your neighborhood? If so, we want to hear about it. Last year, the Municipal Art Society Planning Center and the Community-Based Planning Task Force launched Planning for All New Yorkers: an Atlas of Community-Based Plans in New York City. The Atlas is an interactive, online, map-based tool that allows users to search plans by type and download summaries in PDF form. It is the only resource in NYC that brings together community planning initiatives of all types, including 197-a comprehensive plans, waterfront access plans, economic development plans, transportation plans, and more. The 87 plans currently in the Atlas represent countless hours of work by grassroots organizations, community boards, and New Yorkers from all five boroughs since 1989. As community planning in NYC continues, the Atlas is always growing. If you know about a planning process that has taken place in your neighborhood and you don’t see it included in the Atlas, please let us know! 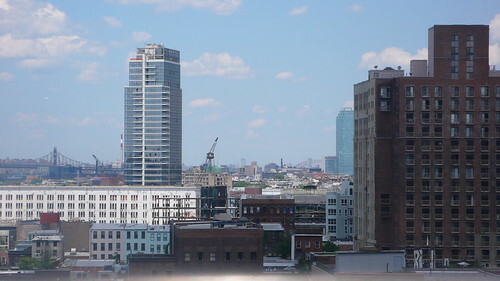 In yesterday’s Gotham Gazette, writer Courtney Gross examines in detail the ongoing conflict between the Bloomberg administration’s rampant rezoning of the city and community advocates’ call for more public participation in the planning process. From the Jamaica Plan to Williamsburg to Willets Point, she points out the flaws in the process that allow plans to proceed despite community opposition. She also tackles the issue of the lack of teeth given to 197-a planning under the current system. Check it out, as its a great primer explaining the need for the Task Force’s draft legislation, mentioned in the article and coming soon to this blog. This lack of “teeth” for 197-a planning allows situations to arise such as that of Manhattanville, described in the article by Council Member Tony Avella, where the Council approved a plan that was in conflict with the Community Board’s 197-a. The same circumstances arise again today, as the Council is set to approve developer Sheldon Solow’s East River waterfront plans. As the Brownstoner article explains, The Community-Based Planning Task Force is working on legislation to change the way planning is done in New York City from a top-down to a bottom-up system. It should be noted that, as Baron said, the legislation will, “affect the whole constellation of city planning initiatives,” – not only 197-a planning. For example, the draft legislation addresses the lack of diverse representation on community boards, the need for a comprehensive citywide planning framework, the lack of capacity in the Department of City Planning to provide substantial assistance to communities that plan, and more. For more information on the principles guiding this effort, please read our Platform for All New Yorkers. We will of course keep you posted on this effort throughout the process. The NY Observer reported yesterday that the City Council would be making a decision on developer Sheldon Solow’s plans for development of the former ConEdison properties on the East River waterfront tomorrow. However, this decision has been postponed. Yesterday, the City Council heard public testimony about the future of the former ConEdison properties on Manhattan’s East River Waterfront, one of the largest undeveloped plots of land in Manhattan. It simultaneously heard testimony about Manhattan Community Board 6’s 197-a Plan, a comprehensive planning framework for the eastern section of the community board. Report after the jump. Today is the final public hearing in the ULURP process for Manhattan Community Board 6’s 197-a Plan, which is being considered side-by-side with developer Sheldon Solow of East River Realty Company’s plans for the development of the former ConEdison properties on the waterfront. Our testimony follows after the jump — please join us today if you can at 3pm at the Council Chambers to support community-based planning.